You save 58% off RRP! 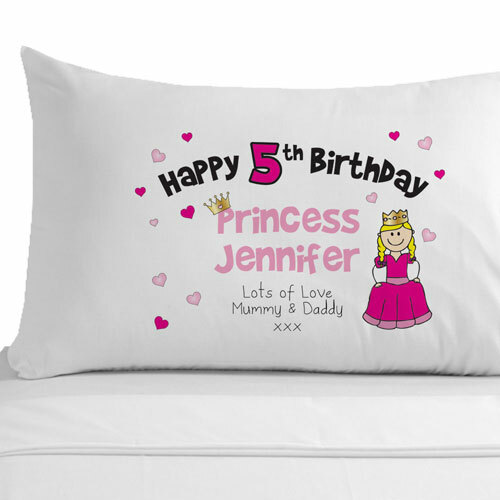 This birthday pillowcase is a unique gift to give to any little princess. It makes a special presentation pillow and will sit well on any girl's bed. 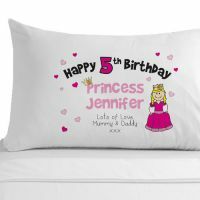 The princess pillowcase features Happy (age) Birthday text with Princess (Girl's First Name) along with your own personal message. Ages 1 to 10 are available in this design. High quality super soft pillowcase. Each pillowcase is luxury Egyptian cotton. 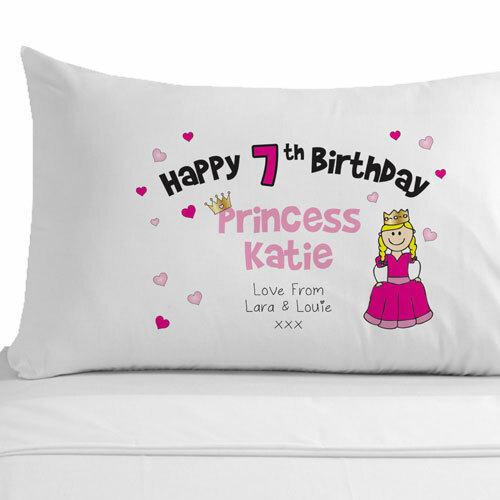 Our printing method leaves the text soft to touch so there is no 'rubbery' feel to the print. The pillow is not included with this gift. Dimensions: 50 x 75cm so it fits any standard sized pillow. Personalisation Guidelines: Recipient's First Name, Year (Age) and a 'Love From' Message (Up to 30 characters including spaces).